Something was on the tracks - no, someone. The conductor of the train traveling from Utrecht to The Hague in the Netherlands slammed on the breaks and the train screeched to a halt. Puzzled passengers waited in the stopped cars. The conductor exited and came back on board with a tiny cat in his arms. 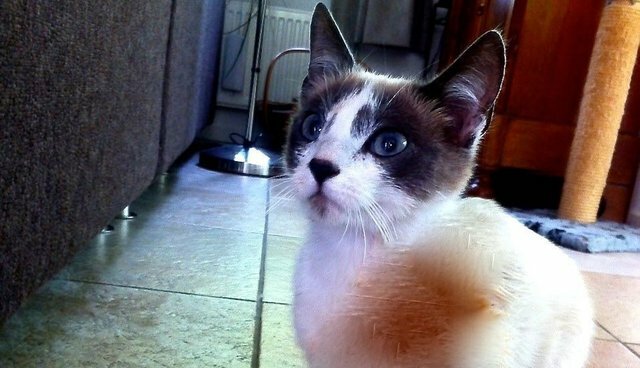 The little cat lucky enough to be spotted by the heroic conductor was rushed to an animal hospital in The Hague and named Juna. Juna was in bad shape. Rescuers can't be certain what caused the injuries to Juna's leg and tail, but it's possible Juna's injuries came from a run-in with another train. The poor cat had to have amputations. 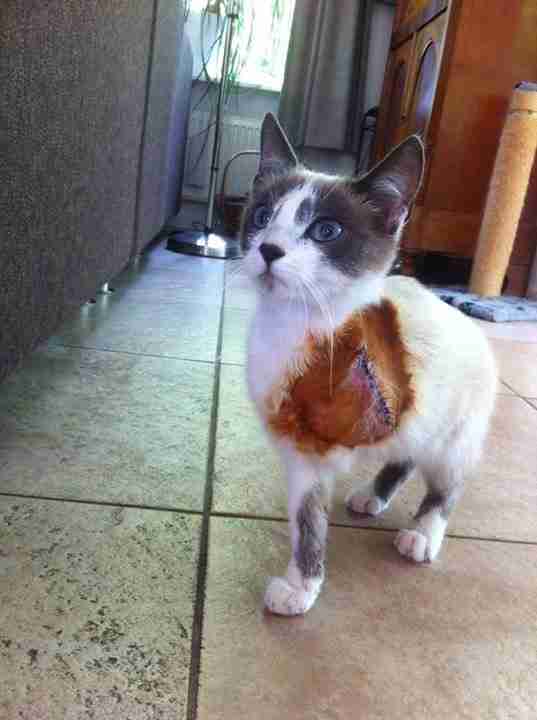 She lost one leg and a portion of her tail. 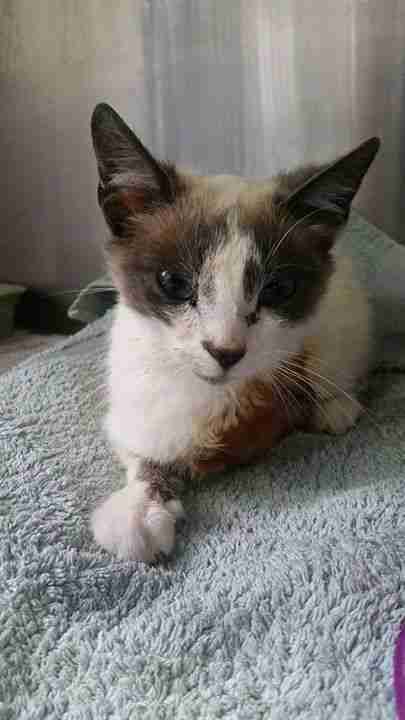 Happily, Juna is recovering well from her emergency surgeries and a concussion - and she's eating ravenously, according to the animal hospital's Facebook page. In a few weeks, she'll be up for adoption. 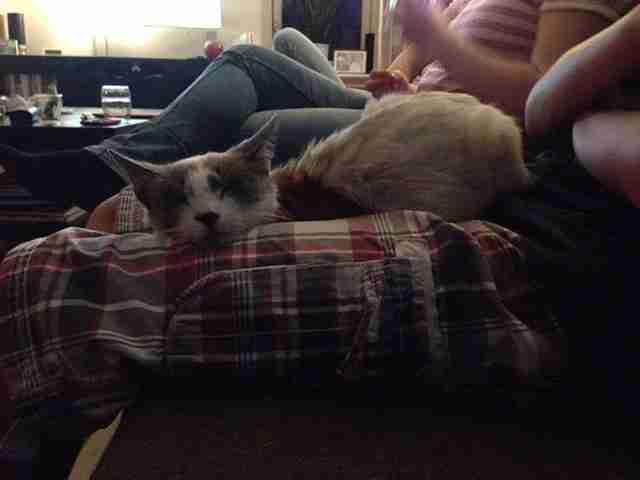 In solidarity with Juna's plight, cat lovers posted photos of their own happy three-legged cats. 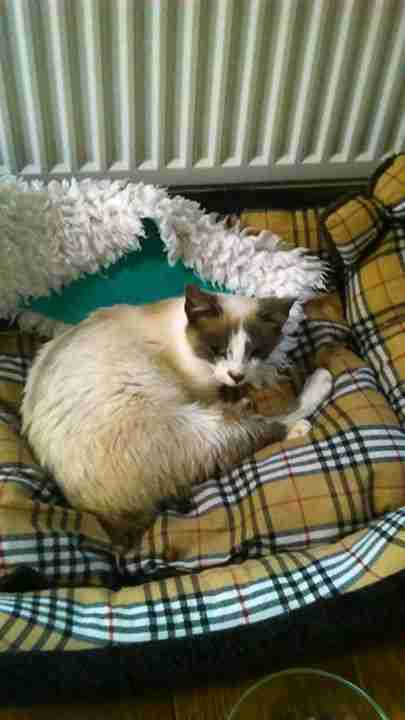 We hope brave Juna finds the comfy forever home she deserves.